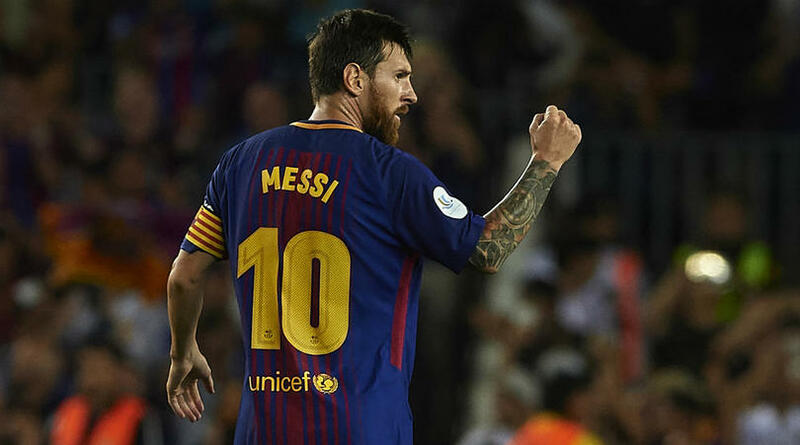 Lionel Messi is often regarded as the greatest football of all time by many and also considered as the best player in the recent time being. He is an Argentine professional football who is playing for club Barcelona main team since 2004. He helped the team to win many titles in his career. So, playing with him is an honor for Stegen who currently revealed that in a press briefing. To him Lionel Messi is overwhelming. Marc Andre ter Stegen is a 25 years old German goalkeeper who is also playing for the German national team but not as the main stopper. Most of the time he was benched where Manuel Neuer is the main stopper of the team. But for his club Barcelona, Ter Stegen is the main goalkeeper and widely regarded as one of the top rated stopper no doubt. But he recently revealed that he yet to understand Leo Messi completely. He is with Messi for more than three years in the club Barca and in everyday in practice time, he faced Messi with new looks. He used to be fooled on Messi. So, to him Lionel Messi is unstoppable. Like all the previous season, the Argentine forward Lionel Messi is passing very good time in the ongoing season. Considering all types of competition, he played total thirty three matches and scored 27 goals so far. Both Messi and Stegen are in the same club and so, in every practice session they faced against each other. So, he has experienced the tactics of Messi everyday. But still now, he thinks that he can not prepare himself to face Messi perfectly. So, now he realised that why the opponent goalkeepers are helpless against him. This 25 years old German stopper also stated that Lionel Messi is very intelligent. He knows the very different way to settle the ball. Goalkeepers have no choice but select their standing position in front of Messi but it does not change anything of Messi. He usually find a way and take short from the different side. He is very smart indeed. So many players who used to take shot generally but to Messi in every times he used to find a way out. Sometimes he takes the weak shot which seems very easy to stop but it is actually very hard no doubt. In the ongoing season of La Liga, giant team Barcelona is standing on the top position on the point table. They are 11 points ahead of the second team on the table. So, they have almost secured the La Liga title. Besides, in the ongoing season they have the chance to win treble as well.